Like it or not, great managers are essential to any successful organisation. An exceptionally good manager achieves a hard working, productive and effective workforce that punches above its weight in its performance. So, how great are you as a manager? See what great managers do. Just read The Wall Street Journal article on How to Look and Act Like a Leader. While I enjoyed reading the article, I am not sure that the article did more than just scratch the surface of what being a great leader means. Like it or not, great managers are essential to any successful organisation. An exceptionally good manager achieves a hard working, productive and effective workforce that punches above its weight in its performance. Great managers attract exceptional staff; they make the organisation a preferred employer; they help to increase market share; add to profits and reduce costs. Their staff are engaged, committed and they will always ‘go the extra mile’ for the organisation. Few weeks ago, a friend talked to me about her new boss in another company. “She’s a nice lady,” she said. “She makes us feel good about being part of the team and working towards a common goal. Although she doesn’t understand the technical aspect of our job like we do, regardless we all like her! “Like many employees, my friend is more influenced by her manager’s soft skills than her technical skills. To her, her manager’s interpersonal skills were what mattered most, including her ability to communicate, motivate and show genuine concern. These interpersonal traits influence people to decide to quit or stay working for a manager. When a manager lacks these skills, or actively cultivates their hard-edged opposite, workers who have choices will surely jump ship or lower their productivity. Caring for people genuinely can’t be faked or replaced. The more I work, the more I see leadership techniques and fads change with the times, but one thing that holds constant is caring about individuals, especially your staff. On the other hand though, a caring manager who is great should not be a pushover. She must also be firm, fair and generate results so that she is well respected. Ok, these are some of the attributes of a great manager. However, I am not going to pretend that these are the only good qualities that a great manager should have. There are lots of others. 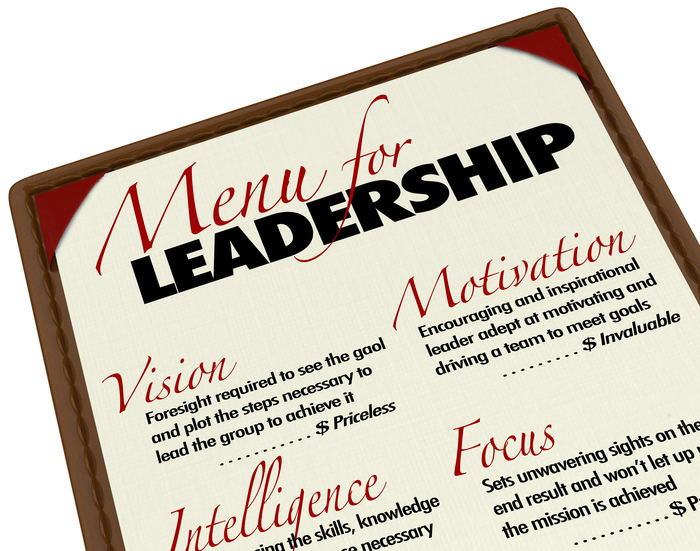 Nevertheless, these attributes will help a manager to manage well. Ensure that people are paid what they are worth: You can’t pay for a Ford Ka which is a good car by the way and want the performance of a Ferrari. If in a position to do so, a good manager will ensure that he is able to influence the salary his staff are paid according to their effectiveness and contributions. Good managers will not give the pay they can get away with; rather they pay what a staff is worth by rewarding great, money saving innovations and productive contributions. What you must realise as a good manager is that what you lose in expense you gain back several-fold in performance. Unless a manager works in a company where getting a salary increase for staff is like getting water out of a stone – in which case, staff will be aware, there is no excuse for a great manager not to ask for more pay for a deserving staff according to performance. Confront, challenge with courage: The position you occupy as a manager is not for the faint of heart. Along with your title ‘manager’ come many responsibilities and equal number of trying situations that will test your mettle. There will be temptations to take easier and less resisting paths and people who intentionally would create obstacles that will challenge your tenacity. Great managers pass the courage tests as the true measure of your leadership effectiveness is the ability to look in the mirror and know that you had the strength and courage to do what you knew was right. Know your Team Members: As a great manager, know both your management peer team and your direct report team members. Your peer group is your support team. This is where you come together with mutual goals, yet potentially different methods of achievement. It allows for diverse perspectives with a common outcome. You team members are the backbone of your existence as a great manager. They should be cohesive through your management. They should feel a comfort in speaking with you. No fear or intimidation of any sort should be sensed by them. It can destroy your success as a manager. They should believe you have their best interest professionally as a focal point. And lastly, but definite not least, know something of great importance they have shared about their personal lives. Do not pry into their private lives. Everyone shares something about themselves they value – their pet’s name, their children’s names or their hobbies. Listen and be able to recall. This shows you are genuine. Define success. A great manager will make it clear to his employees what constitutes success and how success will be measured based on their achievements. He sets SMART goals. People will accept a “bottoms-up” deadline they helped to set, but they might be cynical about a schedule imposed from the top that doesn’t map to reality. Unfortunately, a manager’s manager might make this impossible by handling out difficult to meet deadlines. A great manager will know how to communicate this to his team in order to ensure that they work together to achieve success. Unachievable goals will undermine a team’s effort. In addition to regular team meetings and one-to-one meetings between manager and team, a great manager will use ad-hoc huddles periodically and e-mail routinely to communicate what is expected of staff. Maintaining an open door policy is a great way to let your staff know that you are approachable and willing to listen. A great manager actively takes part in the social activities of the team. Even though a manager must maintain a certain level of authority, it is also important to establish strong and beneficial emotional bonds with others in the organisation. Recognize Outstanding Performers: A big ‘thank you’ message goes a long way. Some companies have the viewpoint of shying away from awards because it may demoralise non-recipients. Perhaps that’s true to a small degree, but from tried and tested experience, those who receive a little pat on the back end up working harder, and those who did not also work harder because of the possibility of receiving an award has been demonstrated to be possible and tangible. A great manager will give a great award or bonus for outstanding work and also give a good bonus for good work. As a great manager, you will effortlessly encourage staff to hone their natural abilities and challenge them to overcome their issues. That’s getting people to perform at their best. Inspire your staff to do great work. Managers motivate their staff, but great managers have the ability to truly inspire their staff. They share their passion for the business. By knowing just what to say and do at the right time to take the edge off or turn a tough situation around. Genuine anecdotes help a lot. So does a good sense of humour from a manager. Tell it as it is: To me, the single most important thing any great manager can do is to stand up, man up and tell it to people straight. It is important to be polite and empathetic as necessary but as a great manager, you should mean it, don’t act it. Tell it to staff straight, even when it’s bad news. No flowery language, dancing round the point or BS, especially when it’s bad news or corrective feedback. Coating bile with sugar isn’t going to work if an employee should be told something straight. For instance, if there is going to be a change that is going to affect headcount, don’t keep it from your staff as they might get to hear from other sources. As long as it’s not confidential, a great manager should be timely with communication. Great managers are effective communicators. That means they are good at communicating. If anything usually, they like people and this is hard to fake. If you don’t enjoy interacting with people, it’ll be hard to manage them well. A great manager will know how to network, know what is going on and have a wide range of personal contacts within an organisation. A great manger has relationships with a fair number of people, including their own team. 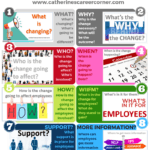 They need feedback about what people are thinking about their team and their role in it. Build team spirit and create a productive environment: It is a known fact that great groups outperform great individuals. And great managers build great teams. Great managers treat their staff the way they deserve to be treated. They create a productive environment. This is a particular challenge because it requires different approaches depending on the context. Sometimes you achieve this by providing an information system that empowers employees. Employees learn from those generous enough to share their experiences and knowledge. Great managers make it clear there’s plenty of goodwill to go around and that it’s not just them who’s going to look good if things go well. They give people a sense of the importance of what they’re working on, its importance to the company, its importance to customers; and its importance to them, the staff. Manage up effectively: Great managers keep management off staff’s backs. Most people don’t get this, but the most important aspect of that is giving management what they need to do their jobs. That’s what keeps management away. Take the heat and share the praise. It takes courage to take the heat and humility to share the praise. That comes naturally to great managers; the rest of us have to pick it up as we go. These and more are the things that great managers do. So the question is, how great are you as a manager? 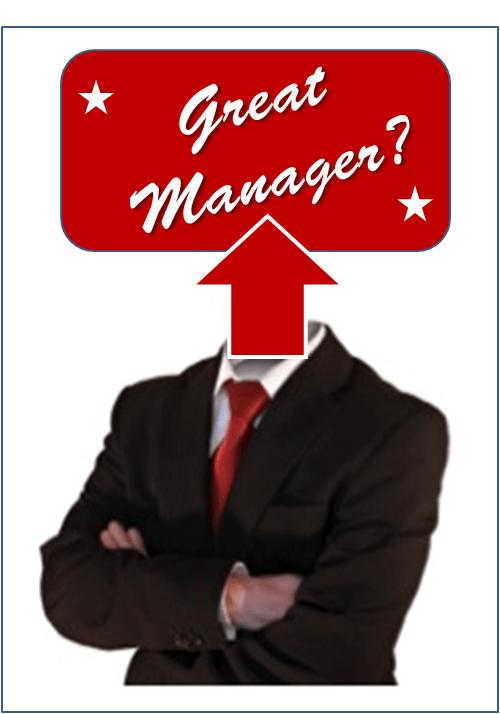 If you are a great manager, what else are you doing? Let’s hear from you, add your comments below. I like the post, it makes good sense. Unfortunately sometimes it is hard to be a great manager. As a manager, if you work in a company that is tight fisted or as tight as the duck’s rear end, how can you ask for a pay rise for your staff? Not only that, if you don’t have the support of your manager then ensuring that your team is cohesive could be a major task. Great post, and your tips will be a good summary to use as a reminder and reference. As a team builder I agree that team spirit and productive environment are really valuable and enhance productivity and employee engagement. This is an important post with many pertinent points. Fronting up to situations is important, and not taking the easier route will earn you respect from peers (and yourself). Another important aspect of managing staff is regular 1:1s and ongoing, throughout-the-year discussions around the PDP so that final PDP rating conversations do not come as a surprise for either party. Managers should also use different approaches to different situations, and not stick to routine formulas. Daniel Goleman’s article Leadership That Gets Results, Harvard Business Review April 2000, has some great pointers to the 6 leadership styles that need to be used in the right measure at the right time. I agree. Being a situational manager is good.